Pitbull’s “Messin’ Around (ft. Enrique Iglesias)” remains in the Top 25 for the third consecutive week on the Mediabase Pop Radio Airplay chart! Spun 2,860 times during the May 9-15 tracking week (+172), “Messin’ Around,” remains at No. 25 on this week’s chart. If you haven’t already, make sure to download “Messin’ Around,” on iTunes, Google Play, or Amazon, and stream on Spotify or Apple Music. 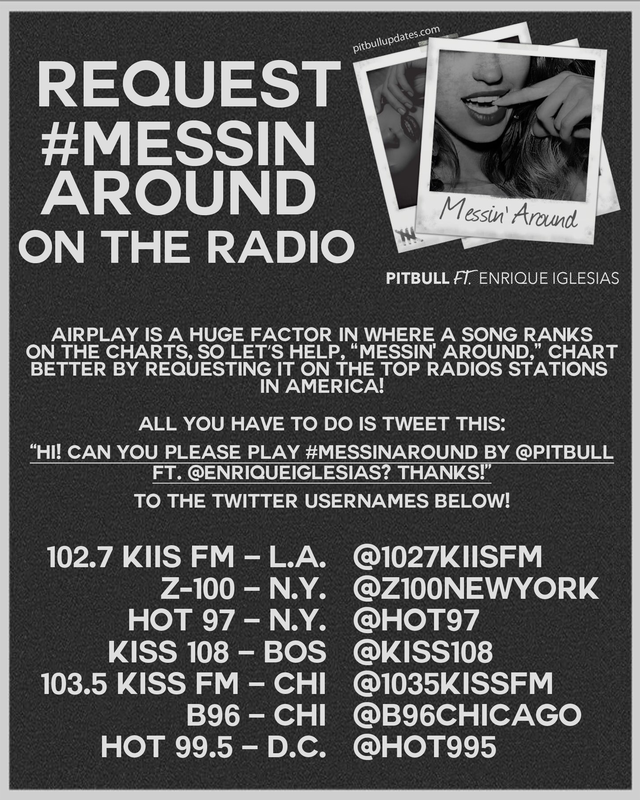 Also, make sure to request the single on your local radio stations as well as the top radios stations in America. Check out the new Request Page to find out how!